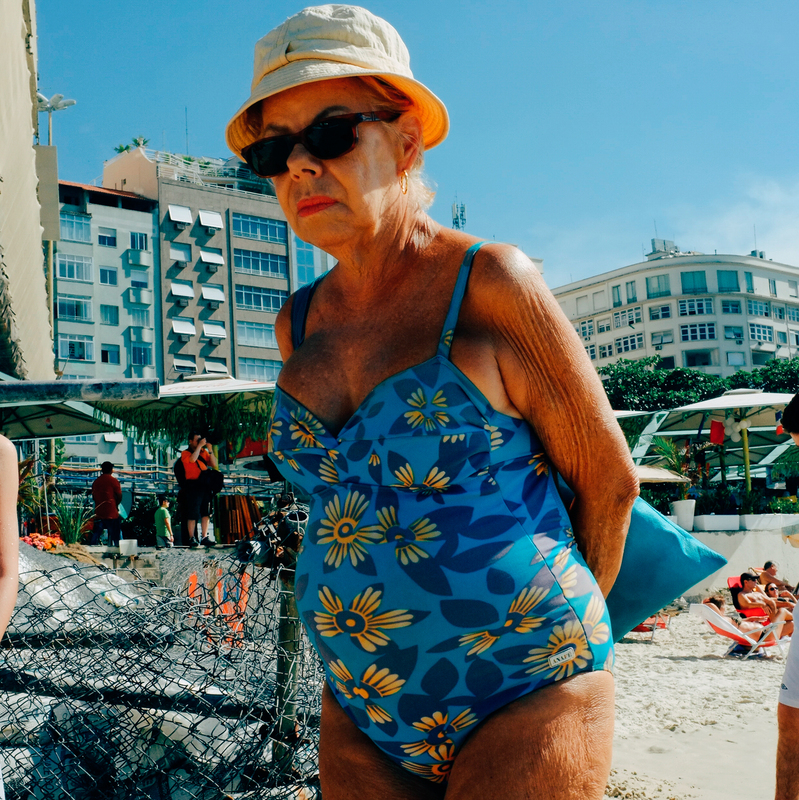 In Vitor Sá’s work Copa na Copa, made just this past summer in Rio de Janeiro, he shows the world a glimpse of local life on the famous Copacabana beach. Aware that his photos would coincide with the mainstream media images that were coming out of the World Cup, he used Instagram as a tool for immediate viewing and to form a contrast to the flashy, promotional pictures being shared about the event. The beach becomes the stage and his unaware subjects are the performers, caught in the middle of their day of relaxation. 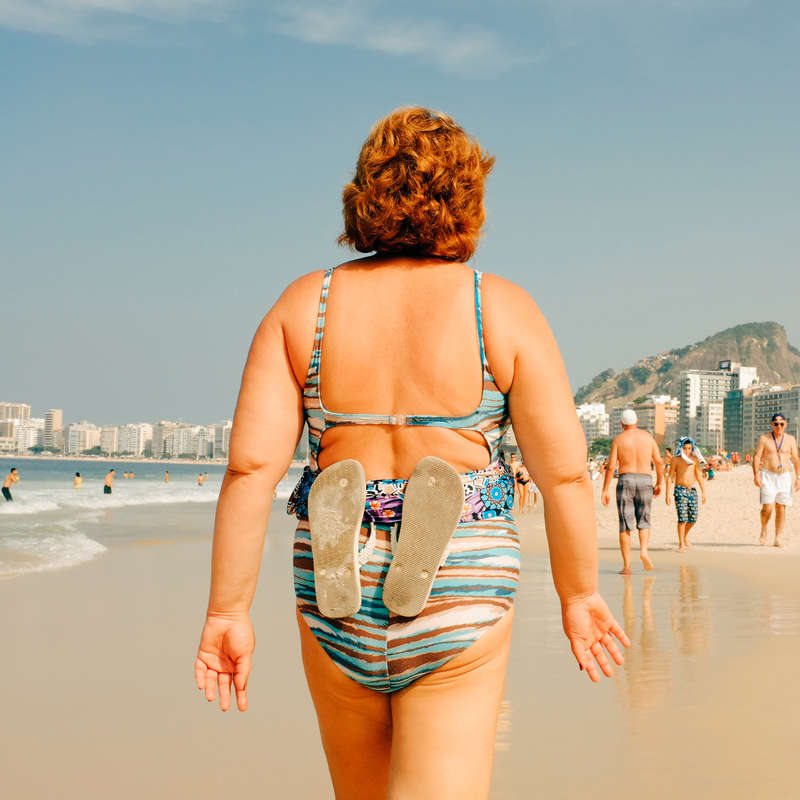 He offers the viewers a different perspective on the city that may be less attractive but tells a story of health issues on the rise and forces us to look at both the beauty and reality of Brazil. Abigail Smithson : What started the idea for this project? During my bus ride to Copacabana I had the idea that I could protest in a different way. 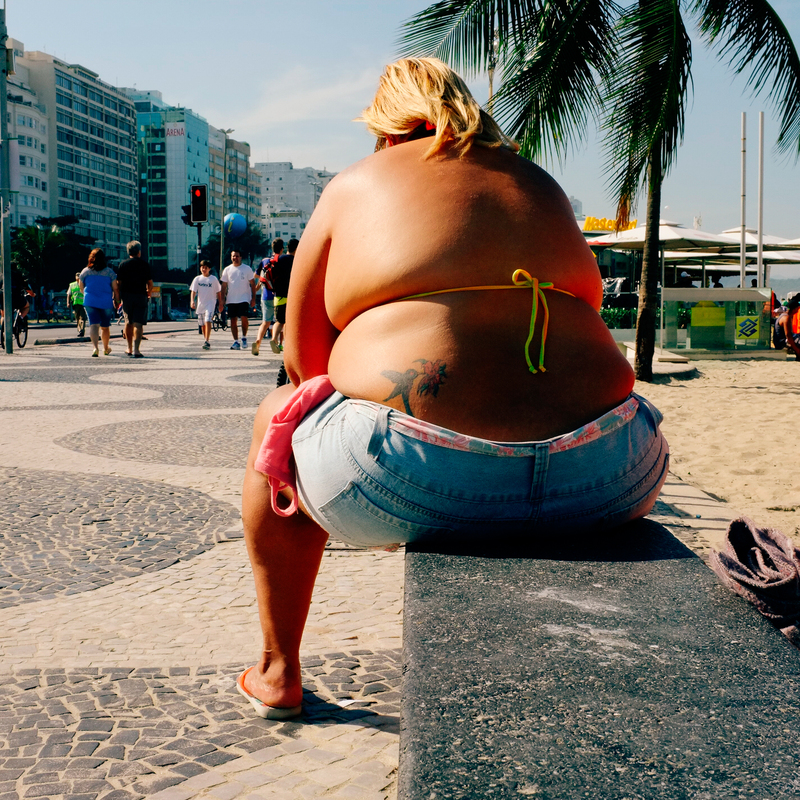 I could show the world that Brazil is not only about parties and beautiful bodies. We are very influenced by the American economy and this influences a lot in the way we eat and consume. And now we can see on our bodies the results of this excess of consumption. The other part of this project was personal. My sister is a scientist who works for the National Institute of Health and she started a revolution in my family. She showed us some articles and documentaries about food and it’s relation with cancer, diabetes, obesity and other diseases. I stopped eating red meat and dairy and started to practice yoga regularly and I have never felt so well. AS:What are your interactions like with your subjects? VS: I never really speak with my subjects. When people know that they are being photographed they assume a pose and stop being themselves. But it was different in Brazil. I passed as tourist for Brazilians and as Brazilian to tourists, so this gave me a little advantage. People were not caring about being photographed most of the time and I could get my subjects in a very natural way. I have always taken portraits of people from the back. I think it has some kind of mystery when you see a portrait from the back. You don’t see the person and it gives you a margin for interpretation and imagining, especially with the right context. 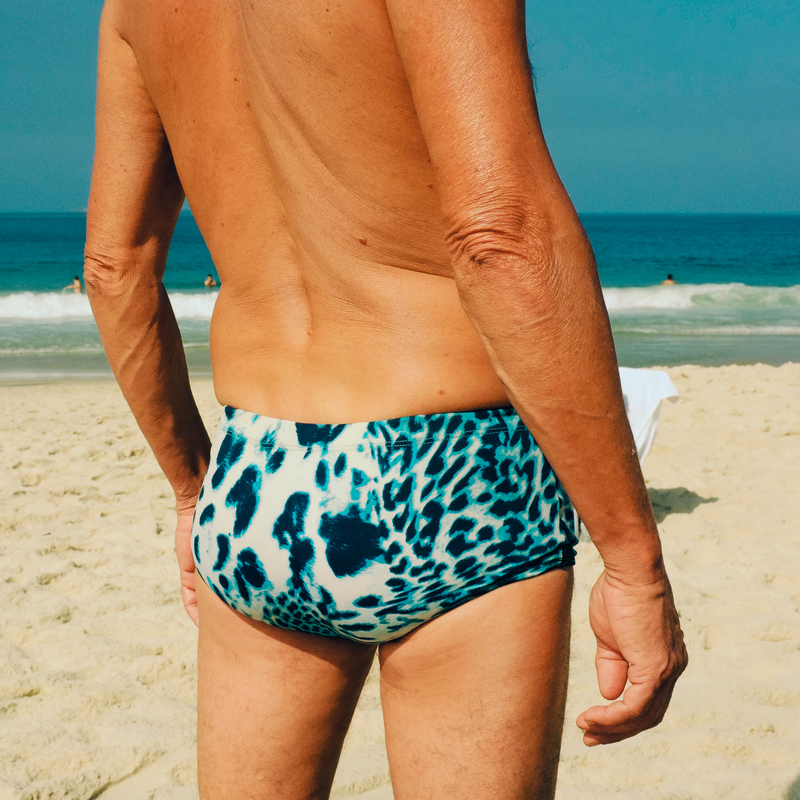 I saw this old man from a distance, and he was wearing this fancy swimsuit. I couldn’t shoot him from the front without being noticed, so I put my camera on my waist and I walked behind him and I took this picture. 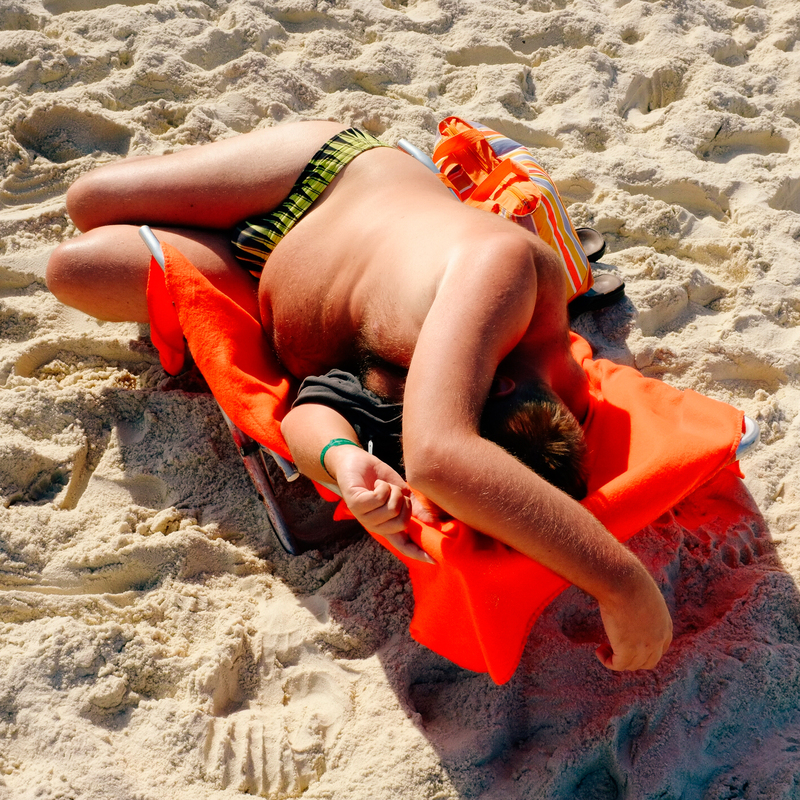 I loved the symmetry and the colors of the swimsuit/ocean and the man/sand and I decided that I should try this technique more often during the project. Especially because I was really not trying to show the stereotypical type of Brazilian booty, but looking for people with personality and attitude. AS: What role has Instagram played in your life as a professional photographer? VS: I gave up photography about six years ago. I used to work as commercial photographer but the business in Brasília was not good at the time and I sold everything I had. When Instagram was released I saw a nice community just like fotolog.net and Flickr had been ten years ago. I started to get passionate about photography again. But it was different. I had a camera and the social network in my pocket and it became natural to create and photograph all the time. Then I realized that’s what was important to me, to photograph for myself all the time. I quit my job and I started to read and study more and more about photography and to produce more and more. I always tell my students to use Instagram and social media to show their work and spread their ideas. Use them as a place to brainstorm. It doesn’t matter if you have 300 or 300,000 followers. Do your work and show it to the world, somebody might like what you do. AS: How do you combine humor with a serious social issue in Brazil? To see more of Vitor’s work, please click here and follow his tumblr here!